A farm-to-table Community Supported Agriculture in Machias, NY. 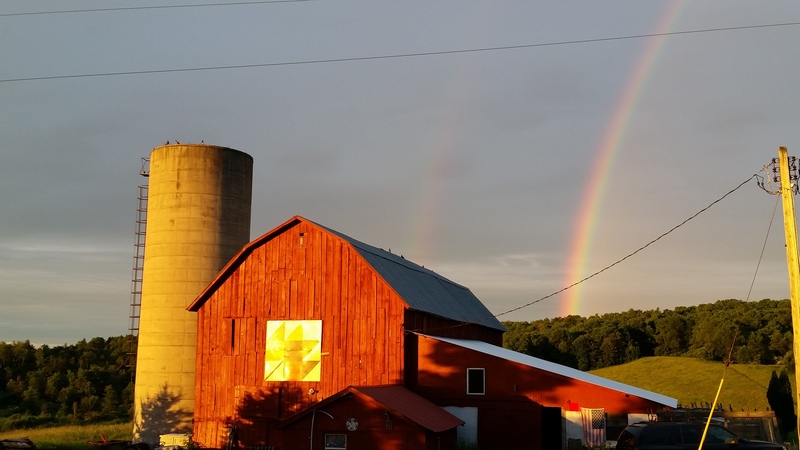 This farm produces beef, honey, vegetables, herbs, egss, maple syrup and fruits. You pre-pay for the season, then pick up your CSA box each week at the farm for 18 weeks, June - October. The produce is never picked more than 1 to 2 days before distribution. They do not use synthetic pesticides or fertilizers and the land they grow from is free from these chemicals. They are in the process of becoming "Organic" certified. They also have a self-serve farm stand open from May-October. Passionate about agriculture and farming, they also raise mini-horses, Nigerian dwarf goats, pigs, Muscovy ducks, a variety of chickens, peacocks, rabbits, turkeys and Great Pyrenees guardian live stock dogs. They also provide the service of honey bee removal/extraction in Western New York. Contact Dean and Melissa Keller with your fresh produce needs!